From a robot priest in the East Village to a 100-year-old veteran's reunion with a B-29 aircraft he rode in World War II, here are the most riveting videos from the tri-state and beyond for the week of Aug. 20. 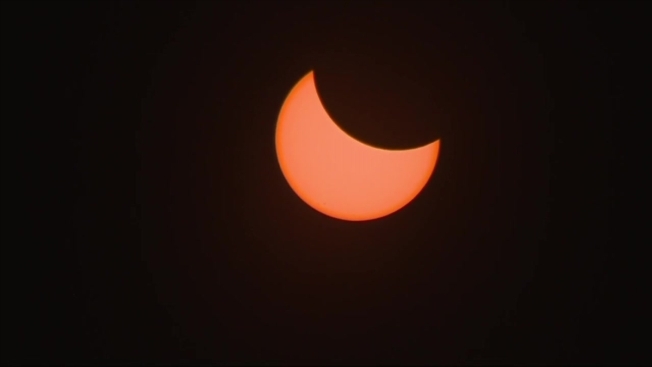 The streets of New York slowed to a crawl as people stopped to watch the solar eclipse. Dave Price has more. 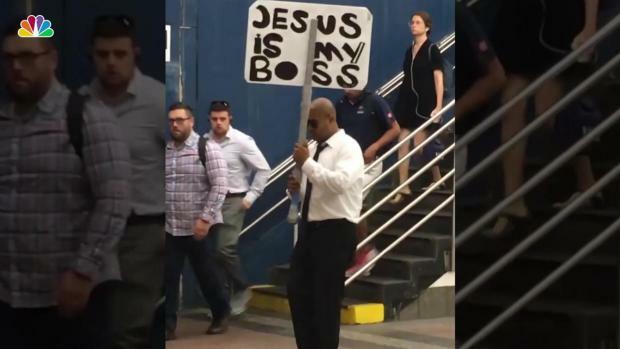 A joyful campaigner for Jesus was spotted in Grand Central terminal Tuesday morning grooving to Britney Spears' pop-classic 'Toxic' while sharing his message. Japanese telecommunications company Softbank has built a robot programmed to fulfill religious duties. 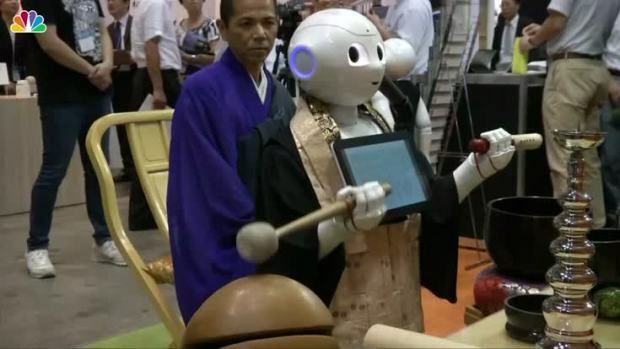 The robot, named "Pepper," is on display at a funeral and cemetery expo in Tokyo. 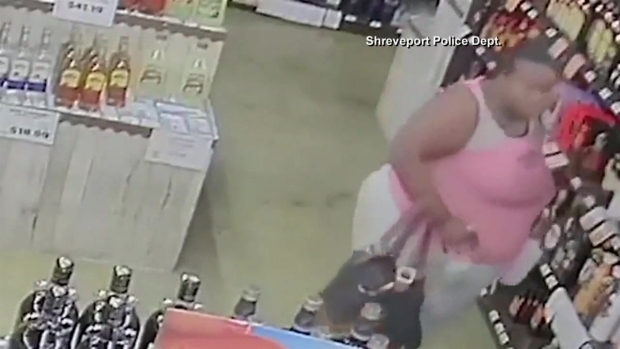 A woman was captured on surveillance video walking into a liquor store in Louisiana on Friday, August 18, and stealing several bottles of booze. At first she puts the bottles in her purse -- but then she started finding more inventive places to hide the bottles. Police are offering $300 for information in the case. Video from Shreveport Police Department. One year after a devastating earthquake killed hundreds in the Italian town of Amatrice, a Queens man is feeling the pull to do more. Marc Santia reports. 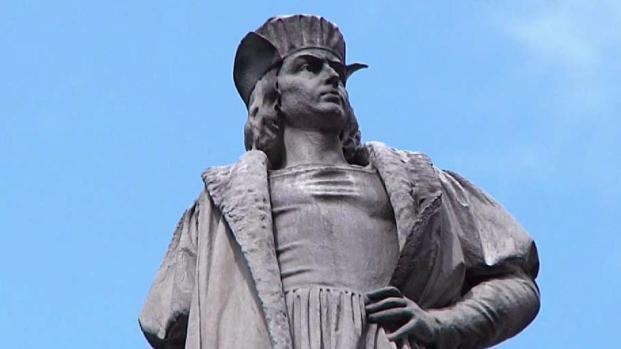 The fate of a statue of Christopher Columbus at Columbus Circle is being debated by politicians, with some saying it honors a man who mistreated Native Americans and others saying removing the monument goes too far. Congressman Dan Donovan says the bronze sculpture would be welcomed in his home borough of Staten Island. Melissa Russo reports. A Long Island couple has been waiting 47 years to get this call -- they just learned a precious item lost on their honeymoon has washed up on Cape Cod. Greg Cergol reports. 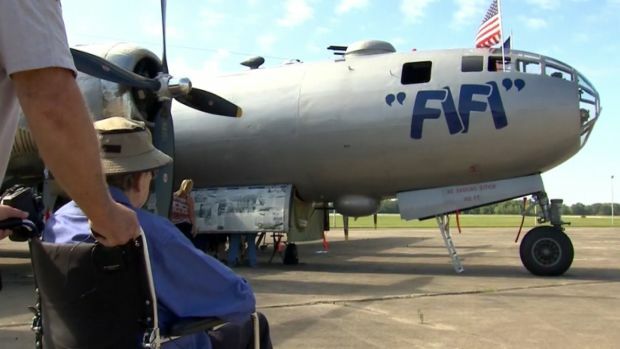 A 100-year-old Greenfield, Indiana man got the chance to get reacquainted with an old friend at Indianapolis Regional Airport - a B-29 aircraft. The B-29 was known as "The Super Fortress." Only two are still in the air since it saw duty during World War II. "Fifi" is one of them. The plane carried precious cargo during the great war, including Collins. 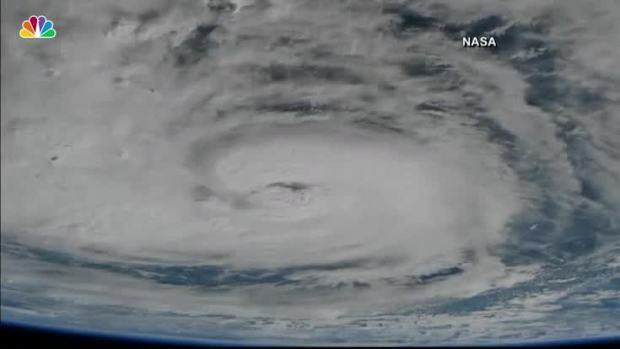 As Hurricane Harvey approaches the Gulf Coast of Texas, NASA cameras captured footage of the Category 2 hurricane from the International Space Station.